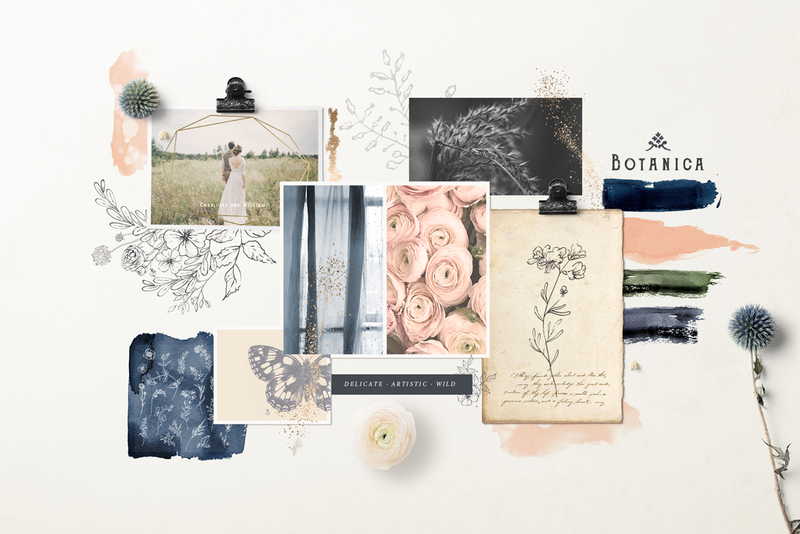 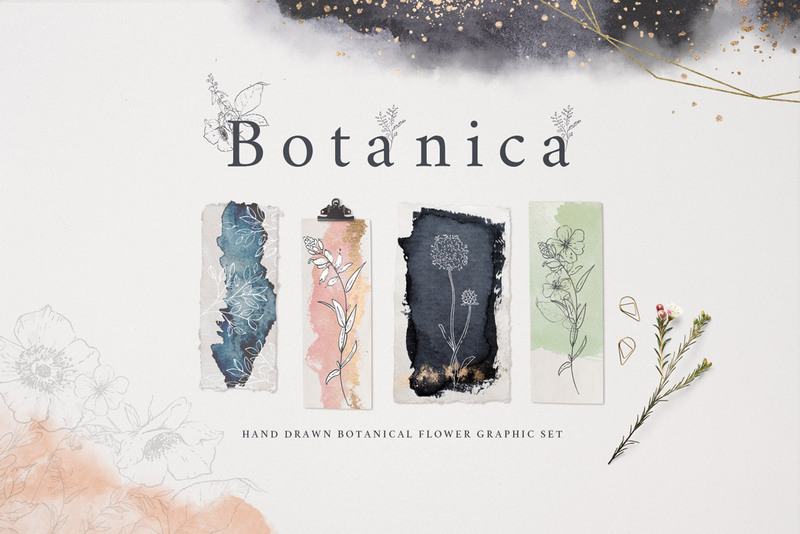 Presenting Botanical Graphic Collection, a beautiful set of hand-drawn botanical flowers, watercolour washes, gold dust splatters, gold geometric frames and botanical frames. 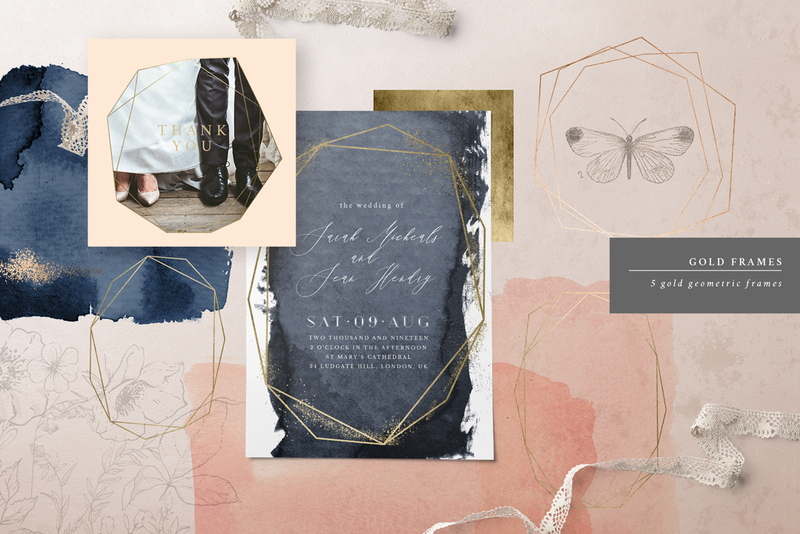 This set comes in a modern colour palette of Navy, blush, slate and khaki. 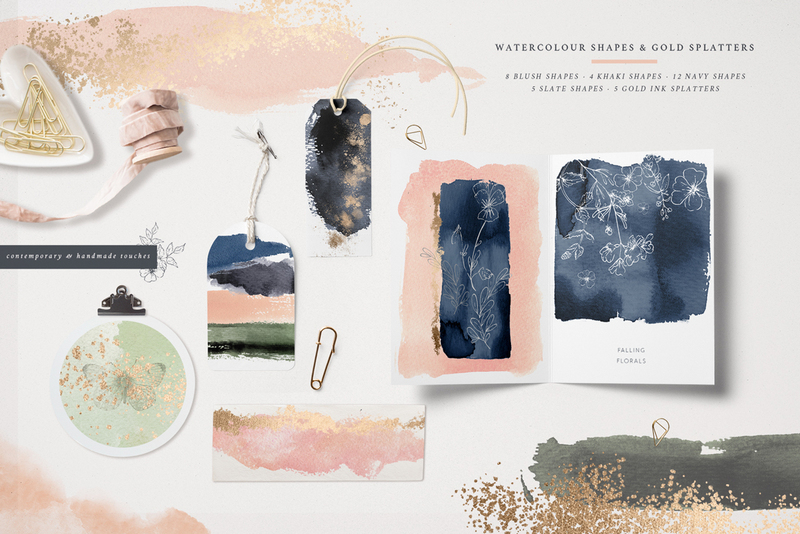 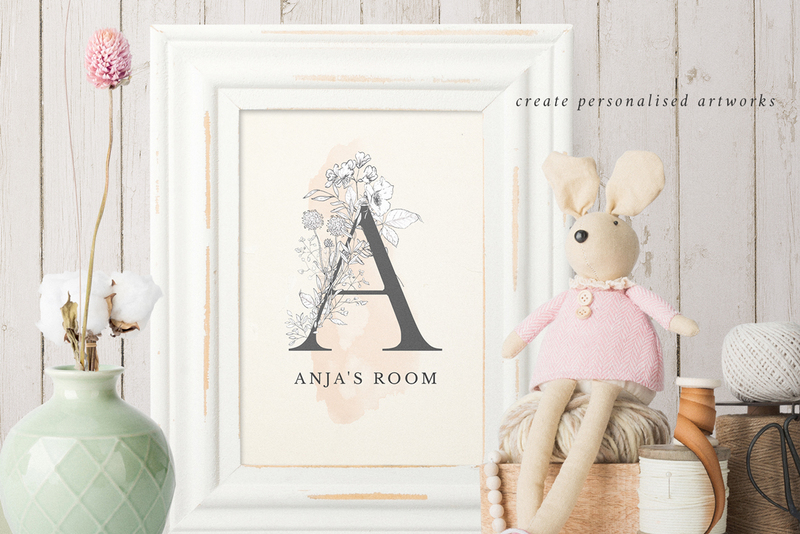 In this versatile collection, there are many individual design elements for you to create a variety of designs with and it would work perfectly for a number of projects such as social media marketing, branding and logo design, wedding invitation design and graphics for products. 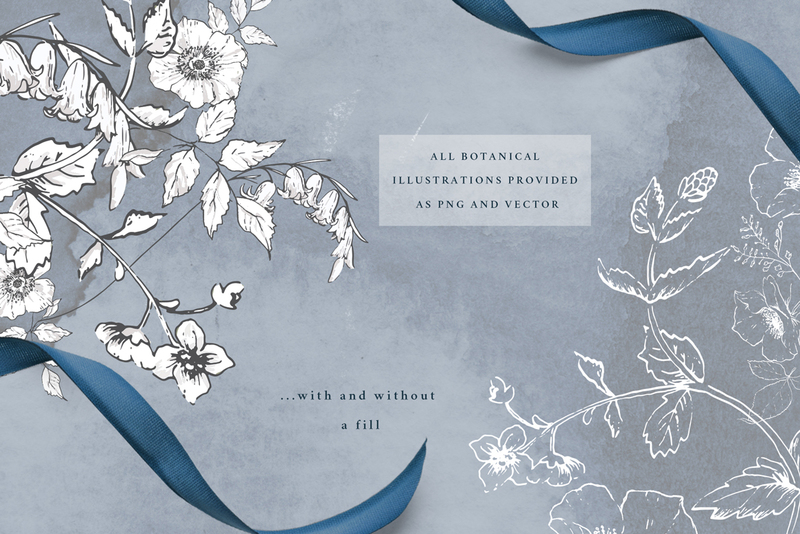 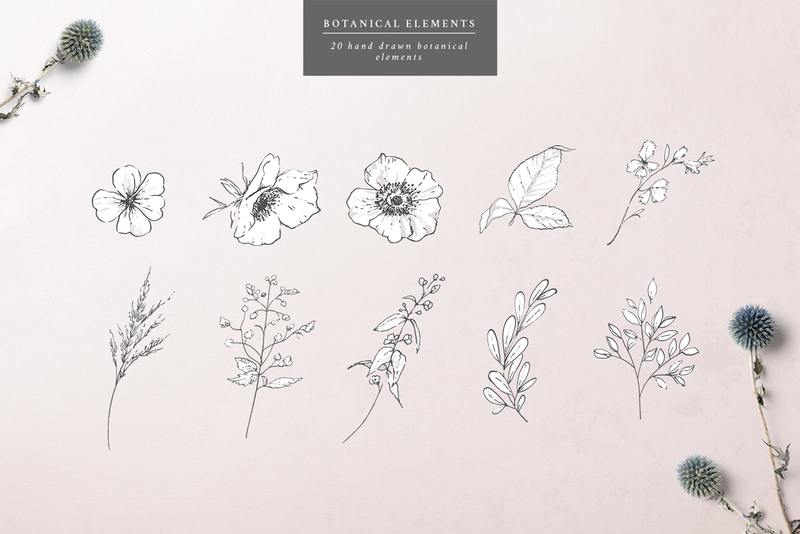 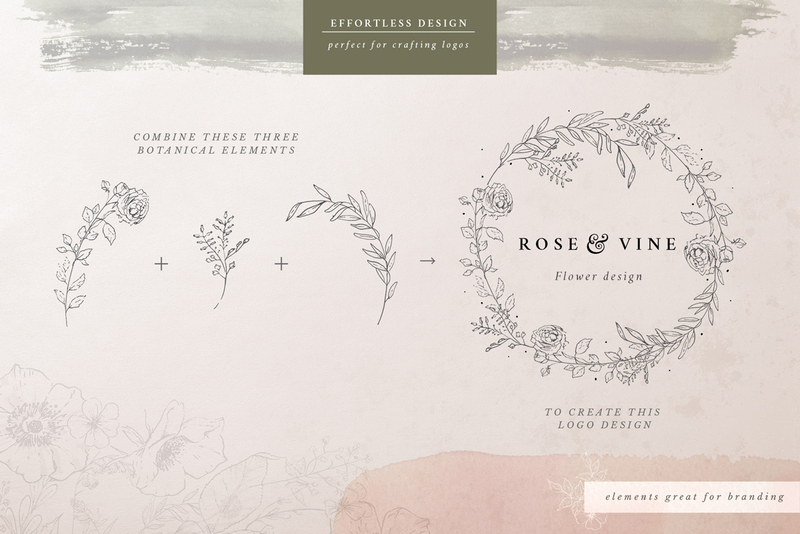 Botanical line art adds a very modern yet vintage feel to projects, for an elegant and simple look to your designs.